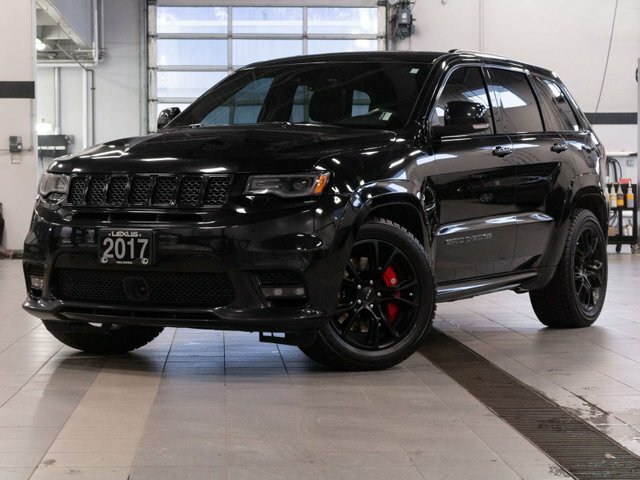 Ordered directly from the factory, the previous owner wanted a completely blacked out SRT including the Carbon Black forged wheels. The Diamond Black Crystal Pearl paint and Black leather interior are both in excellent condition. 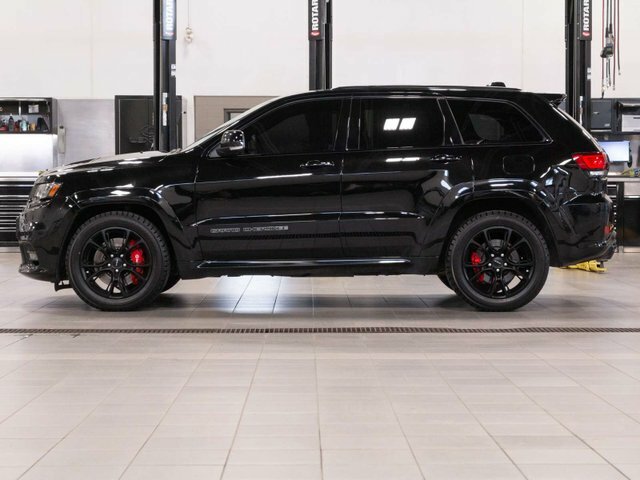 To accent the blacked out look the previous owner ordered the optional red seat belts to complement the red calipers included in the $1,295 high performance brake option. 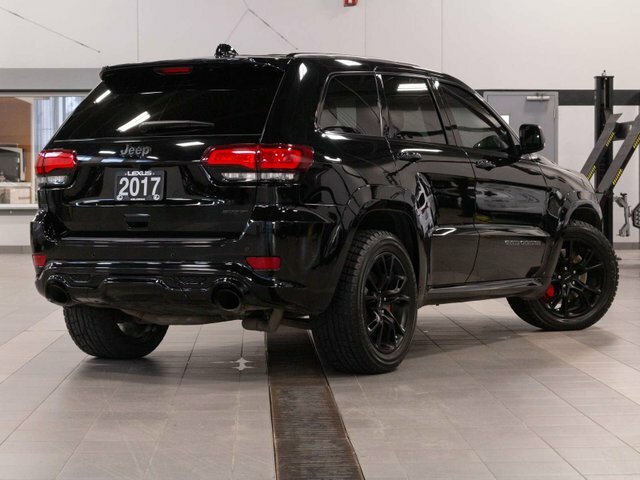 Straight from Dodges SRT division the 2017 Jeep Grand Cherokee SRT8 has proven to be a top performer in the performance SUV segment. With a 6.4L Hemi engine equipped with launch control and an 8 speed automatic transmission pushes out 475hp and 470lb-ft of torque. over $7500 in optional equipment installed over the standard SRT8 and an MSRP of $81,740, this Jeep features Navigation, Bluetooth, Memory Seating, Heated Steering Wheel, Heated and Vented Seats, Panoramic Roof, SRT High Performance Audio Package, Carbon Black Forged Wheels, Launch Mode, Blind Spot Monitor, Adaptive Cruise Control, Power Lift gate, Remote Start, Lane Departure with Lane Keep Assist and much more. Higher Price+ $26249 ABOVE avg.